A 1976 Supreme Court decision, U.S. v. Martinez-Fuerte, provides the primary legal justification for CBP’s operation of these checkpoints. Because of the sweeping nature of the decision and its ongoing impact, it’s worth looking at some of the key particulars of the Court’s ruling. The case, which centered on three separate incidents involving the illicit transportation of Mexican nationals into the United States, examined the question of whether the use of such checkpoints for warrantless seizures and visual inspection (i.e., searches) violated the Fourth Amendment. The majority’s reasoning seemed to be that adhering to the Constitution’s traditional probable cause standard was too onerous on CBP in its efforts to stem illegal immigration. The Court assumes, and I certainly agree, that persons stopped at fixed checkpoints, whether or not referred to a secondary detention area, are “seized” within the meaning of the Fourth Amendment. Moreover, since the vehicle and its occupants are subjected to a “visual inspection,” the intrusion clearly exceeds mere physical restraint, for officers are able to see more in a stopped vehicle than in vehicles traveling at normal speeds down the highway. As the Court concedes…the checkpoint stop involves essentially the same intrusions as a roving-patrol stop, yet the Court provides no principled basis for distinguishing checkpoint stops. Every American citizen of Mexican ancestry and every Mexican alien lawfully in this country must know after today’s decision that he travels the fixed checkpoint highways at the risk of being subjected not only to a stop, but also to detention and interrogation, both prolonged and to an extent far more than for non-Mexican appearing motorists. To be singled out for referral and to be detained and interrogated must be upsetting to any motorist. One wonders what actual experience supports my Brethren’s conclusion that referrals “should not be frightening or offensive because of their public and relatively routine nature.”…In point of fact, referrals, viewed in context, are not relatively routine; thousands are otherwise permitted to pass. But for the arbitrarily selected motorists who must suffer the delay and humiliation of detention and interrogation, the experience can obviously be upsetting. And that experience is particularly vexing for the motorist of Mexican ancestry who is selectively referred, knowing that the officers’ target is the Mexican alien. That deep resentment will be stirred by a sense of unfair discrimination is not difficult to foresee. Indeed, one need not actually be a Mexican or have Mexican ancestry to be victimized at one of these checkpoints. Just being dark-skinned and having an accent was enough for Armenian-American immigrant Greg Rosenberg to be stopped, roughed up, and detained without charge for 19 days after an encounter with CBP agents at the Laredo, Texas checkpoint in 2014. Through 2015, at least 35 people have been shot and killed by CBP agents, according to data compiled by the ACLU and CBP’ own internal data. To date, no agents involved in these use-of-force incidents has been fired. For too many American immigrants or legal permanent residents living in or just passing through the southwestern United States, Justice Brennan’s fears of these checkpoints becoming racial profiling and civil liberties violation stations long ago became a reality. The checkpoints are also largely ineffective in performing their stated task: catching illegal border crossers. 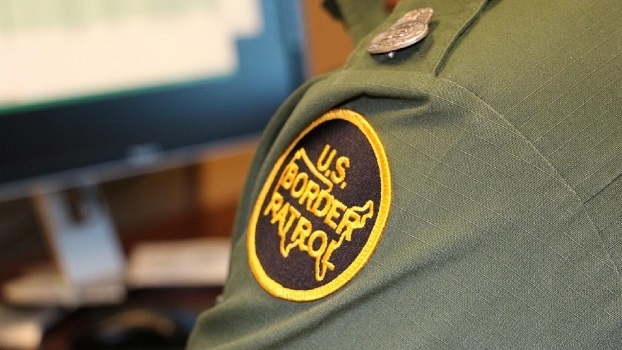 CBP reported in the budget justification that apprehensions at checkpoints ranged from 1.34 to 2.52 percent of nationwide apprehensions across fiscal years 2013 through 2016. The 2009 GAO report, also referenced above, noted (p. 5) that approximately 4% of deployed CBP agents were deployed at these internal checkpoints. Thus, a significant portion of CBP agents are tied to checkpoints that account for a miniscule portion of apprehensions of persons not legally authorized to be in the United States. For example, members of one community group we interviewed said that there are hundreds of illegal crossers and smugglers who attempt to circumvent the local checkpoint by walking through the surrounding ranches. Echoing views from ranchers we interviewed for a December 2012 report, 56 members of one community group we spoke with as part of this review said that they would like to see Border Patrol direct more enforcement efforts at the immediate border to prevent illegal crossers from entering their communities or properties. Officials we interviewed from two sheriffs’ departments in nearby counties said they have heard similar views from residents. In addition to analyzing where apprehensions and seizures occurred, we analyzed marijuana seizure data to determine how seizures that occurred at checkpoints compared to those that occurred at other locations…out of the 30,449 seizures that occurred at checkpoints, at least 12,214 (40 percent) were 1 ounce or less of marijuana seized from U.S. citizens. In contrast, seizures occurring at non-checkpoint locations were more often higher-quantities seized from aliens. For example, more than three-quarters of marijuana seizures at non-checkpoint locations were of over 50 pounds (25,792 out of 33,477 seizures). Thus, in addition to failing at their primary mission of curtailing illegal border crossings, CBP personnel manning these stations are running largely useless “weed dime-bag checkpoints” that only help to perpetuate the failed War on Drugs. Beginning in 2014, CBP officials in Arizona reacted with threats and intimidation as a group of citizens in the town of Arivaca attempted to monitor the local CBP checkpoint for potential rights violations. In response, the citizens sued the CBP for the right to record or otherwise monitor CBP activities at the checkpoint. A lower court tossed the case in 2016, but the Arivaca residents appealed and in February 2018, the Ninth Circuit Court of Appeals reinstated the case, which has been remanded to the U.S. District Court in Tuscon. The fact that CBP agents are attempting to prevent American citizens from monitoring checkpoint activities only underscores why the efforts of the people of Arivaca, as well as this new Cato project, are so important in the ongoing effort to prevent and expose misconduct and constitutional rights violations by CBP personnel. It is also hoped that this project will help spur a long overdue discussion about the very rationale behind these checkpoints. Ironically, in his search for additional manpower to police the southern border, President Trump has turned to America’s military–a move my Cato colleague Alex Nowrasteh has correctly characterized as unnecessary and dangerous. It is also a less effective measure–fiscally and legally–than disestablishing useless CBP fixed checkpoints and redeploying the hundreds of CBP agents currently manning them down to the southern border. Unlike American troops, CBP agents are law enforcement officers, capable of making arrests and processing illegal border crossers through America’s established deportation process. Redistributing exising CBP personnel in this way would also remove a constitutional blight that has plagued American border communities like Arivaca for decades. Whether President Trump will show the wisdom required to adopt such an approach is another matter. Patrick G. Eddington is a policy analyst in homeland security and civil liberties at the Cato Institute.